When teaching ESL verb tenses to English language learners, conjugation is only one part of verb tense lesson plans. Students can often easily memorize and match pronouns and conjugated verbs, but the more difficult part of verb usage is knowing which verb tense to use and when to use it. Moving beyond conjugation, the two main things an ESL teacher has to teach about verb tenses are form and function. A common teaching strategy is to present the conjugation of verbs first. This is the easiest part of the lesson. Students must learn the correct conjugation for each of the following subject pronouns: I, you, he/she/it, they, and we. Here's an example of the verb "dance" conjugated in the Present Progressive/Present Continuous. I am dancing in the street. You are dancing in the street. He/She/It is dancing in the street. They are dancing in the street. See the Verb Tense Chart below for a complete discussion of each tense, including conjugation, form and function. Overview of "Form" and "Function"
Here are the five forms ESL and EFL students must learn for every verb tense. The next important thing to teach English language learners is the "function" or "functions" of each verb tense. Knowing the function(s) of each tense helps the student determine which is the correct one to use in every situation. Let's continue to use the Present Progressive for our example. 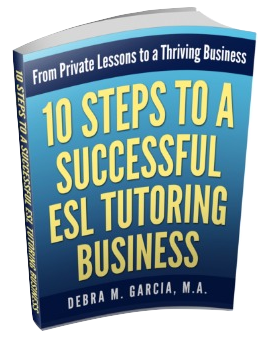 The main function of the Present Progressive is to describe something that is in process at this very moment (e.g., Right now, I am writing about ESL verb tenses and lesson plans. Right now, you are reading this page.). Q: So, what are you doing these days? A: I am teaching ESL to adults. Q: What are you doing tonight? A: I'm cooking dinner for some friends. I've chosen the easier Present Progressive to illustrate what must be taught for each of the ESL verb tenses. It becomes a little more complicated to teach the functions for something like the Present Perfect, but the essentials are still the same. Learning these three components for each verb tense helps students master the main elements of all tenses. See this verb tense list for a list of all English language tenses with examples. 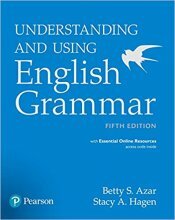 For high intermediate to advanced ESL students, I've found Azar's Understanding and Using English Grammar to be particularly useful for clearly teaching the functions of all tenses. She also provides practice exercises and useful timelines so students can visually see "when" to use a particular tense. Below is a Verb Tense Chart for your reference. You can click on any of the verb tenses to learn more about teaching that particular tense and for help writing verb tense lesson plans. ESL cloze exercises are also provided for some of the tenses. Here's an irregular verbs list for help in teaching the various forms of commonly used verbs.